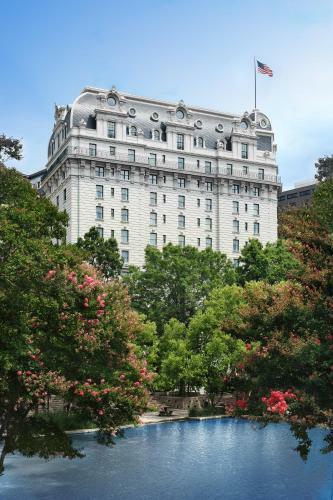 Lock in a great price for Willard InterContinental Washington – rated 9.1 by recent guests! Beautiful hotel, excellent service from the staff, great location. The rooms were very large and allowed our family of four to spread out after a long day of exploring the city. Location was convenient to the Metro Center station and lots of great retaurants. Breakfast was okay. Corner Bakery across the street was awesome and did not break the wallet. People are very friendly and the rooms are wonderful. The location can not be better. Stayed with family of 4 during spring break. The beds were very comfortable, breakfast was great, and location was perfect (we walked everywhere). Would definitely stay again. It’s the Hotel you would expect to see in a movie that sets the bar for high class and luxury, it exceeded my expectations and the staff was the definition of experts in customer service I was so impressed. The overall layout of the hotel was amazing extremely well kept and clean. The rooms were very quiet and you couldn’t hear a whole lot of noise from people transiting in the hallway, it was so quiet we couldn’t hear the housekeepers try to deliver a document to us. The location is perfect, the breakfast was great, and the internet was very good. The service was beyond wonderful. ALL staff were soft spoken, polite and clearly aimed to solve your issue. The room furnishings were a little tired and the lobby flowers (the lobby’s traditional centerpiece) were slightly beyond their prime. However the service alone will bring me back - far above any place else. The gorgeous room/bathroom and lobby. Bed and pillows extremely comfortable. 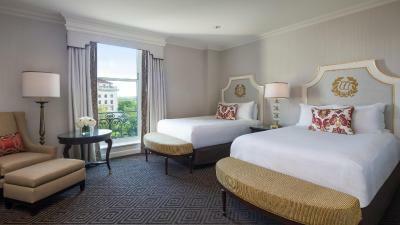 Willard InterContinental Washington This rating is a reflection of how the property compares to the industry standard when it comes to price, facilities and services available. It's based on a self-evaluation by the property. Use this rating to help choose your stay! 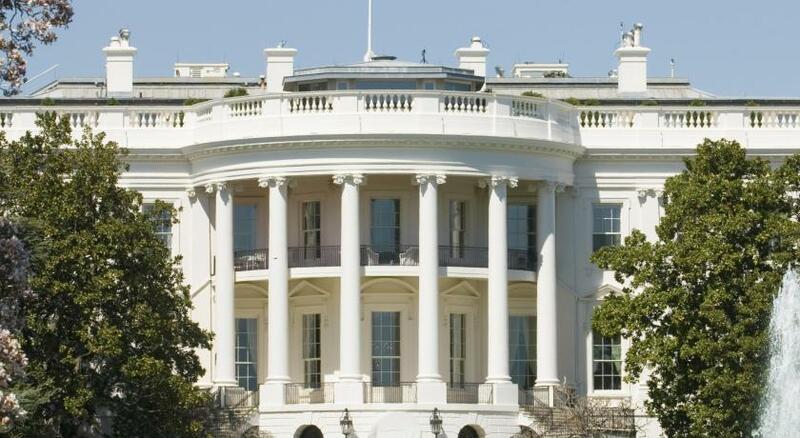 Located on Pennsylvania Avenue and 1,600 feet from the White House, this historic luxury hotel and contains the Red Door Spa. Shops and a private limo service are also offered. 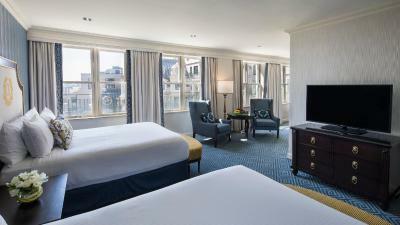 A flat-screen TV and a mini-bar are found in each elegant room of the Willard InterContinental Washington. A coffee maker, work desk and stereo are also included. The Café du Parc serves traditional French fare in its first-floor café and upstairs restaurant. Pastries are offered between meals and a wine bar is opened each evening. Guests of the Willard are welcome to enjoy the 24-hour fitness center and sauna. Concierge services, a 24-hour lounge and a florist are also available. The International Spy Museum is 2,650 feet from the hotel. The Metro Center subway station is 1,050 feet away. When would you like to stay at Willard InterContinental Washington? 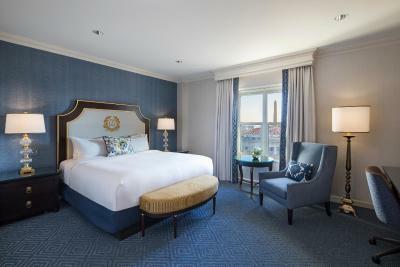 This room, featuring views of Pennsylvania Avenue or the Ellipse, has a flat-screen cable TV and a work desk. This room features a seating area, flat-screen cable TV and work desk. This suite features a separate parlor area, a flat-screen cable TV and a mini bar. This room features a flat-screen cable TV, a work desk and a mini bar. WiFi is available in all areas and costs USD 10.95 per 24 hours. 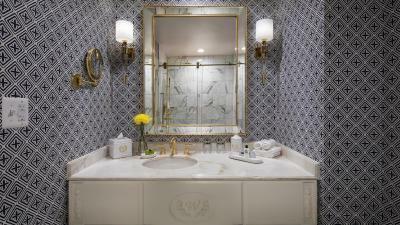 House Rules Willard InterContinental Washington takes special requests – add in the next step! Willard InterContinental Washington accepts these cards and reserves the right to temporarily hold an amount prior to arrival. 106 people are currently looking for a place in Washington, D.C.
Service from the staff and long history of the hotel relating to American politic. 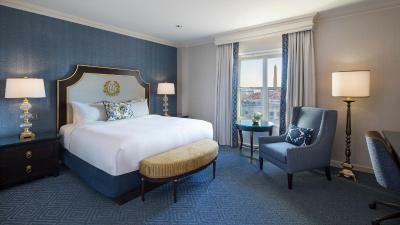 Local and view from the room to Washington Monument is great. Beds were a little soft to my husband's liking, but that's just personal preference. The checkin and checkout process took a long time. Check in staff are trying to help but sometimes we have to wait for sometime. The breakfast was plentiful and good choice. The arrangement of the room was a little off. The bed did not line up with the television and the room had plenty of open space to where the set up could have overall been better and still have the open space. The service in the hotel cafe we received was average yet the other tables were getting well looked after. Shame because everything and everyone else were great !! The room was spacious, the beds comfy, a great shower and the staff down stairs were so very helpful... Would stay again..! !